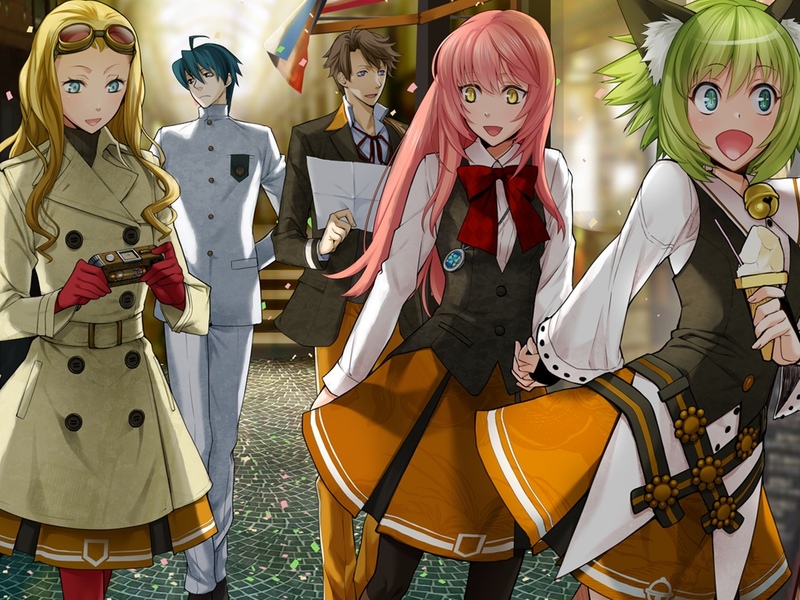 A beautifully written visual novel set in a complex, well-designed steampunk world that offers adventure, tasteful romance, and lots of action. I imagine most of the people reading this impression should already be familiar with Sakurai Hikaru, one of the most prolific and famous of visual novel writers. For better or worse, Gahkthun follows the exact same template as her other works — you get thrust into an all new world that despite blending various sci-fi and fantasy concepts remains self-consistent and thus believable; you get introduced to many interesting, quirky characters; and then despite the amazing initial chapters, you are forced to sit through a bunch of episodic adventures that are at best lukewarm until you reach the yet again amazing finale. Granted, unlike Inganock or Sharnoth, Gahkthun actually ties in most of the characters whose problems you’ll be solving in episodic chapters to the overarching story, but there are still one or two chapters that feel like nothing but filler (a well-written one, but still kinda awkward to sit through). Sakurai Hikaru has a knack for coming with fascinating worlds and new concepts; writing likable and relatively profound characters — I’d go as far as to nominate Tesla and Neon as one of the best couples in a visual novel period —; coming up with a cool fascinating story that should offer enough drama, excitement, and food for thought for anyone; but then she seems to fail to tie it all together into an exciting plot. 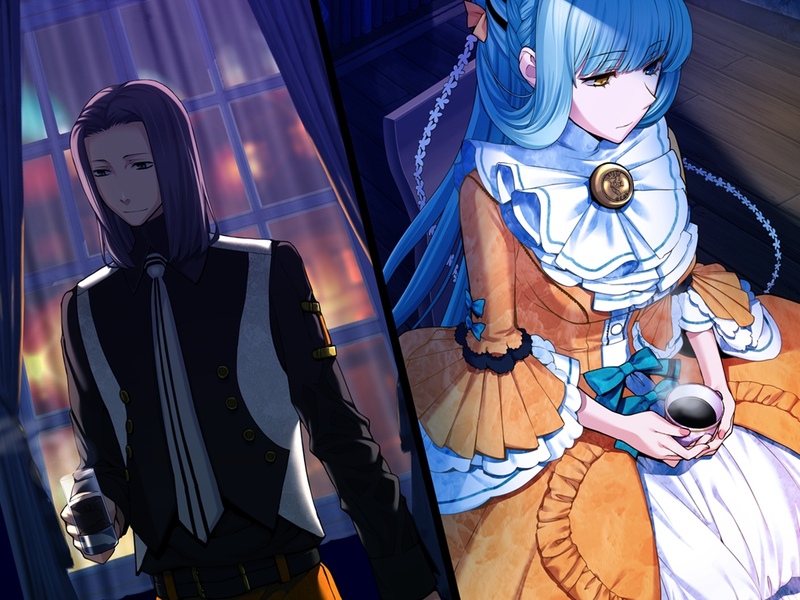 Gahkthun is definitely fun to read, and it’s among the better visual novels I’ve ever chanced upon, but I still felt it could’ve been a lot better if Sakurai sometimes instead of just trying to impress or spellbind her readers, would also try to add tension and excite them. My main gripe with Gahkthun is that it simply lacks tension; the protagonist is so powerful he simply doesn’t allow you to even consider he could possibly lose, and so the whole plot comes down to not “if” but “how” will he win the fight. To make matters worse, the motivation of the opposing characters is deliberately muddled until the very end, and usually mid-fight you realize that not only they don’t have a real reason to kill each other, most of the time they don’t even need to fight to solve their problem, which turns most of the battles into something akin to a circus spectacle, rather than an intense struggle of life and death. And the only thing Sakurai’s beautiful and poignant writing achieves in such a situation, is making me feel guilty for hitting that skip key to get them over with (I had the very same problem with Demonbane). Now battles aside, everything else in Gahkthun is just a pleasure to experience. The prose is so alive you always feel like you’re inside Neon’s head who’s quite a poet and can turn even the most mundane into thoroughly fascinating just through the power of her descriptions; not that it’s usually needed in a fairy-tale version of early 20th century. Apart from just experiencing the world, you will also doubtless love the conversations and relationship between Neon and Tesla, oh you so will. Almost every word they exchange proves to lead to either hilarious comedic banter, or poignant dramatic scenes that might as well bring a tear to your eye, or at least fill you with just the right amount of angst. Frankly, I couldn’t wait for the battles to end so I could see what other hilarious scene will Neon and Tesla bring upon themselves. 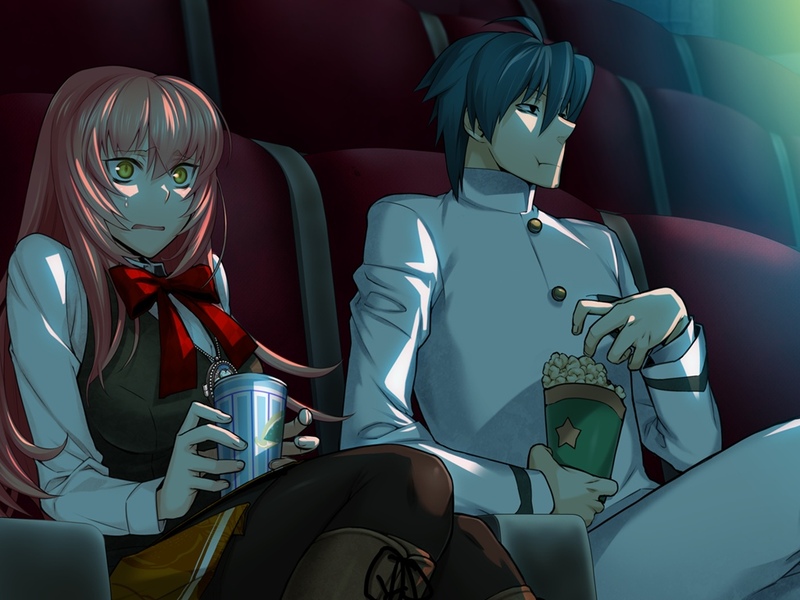 Been a while since I’ve seen a couple with better chemistry, in visual novels or fiction in general. The story itself, if you disregard the filler in the middle, is fairly well thought-out and plays out more like a fairy tale rather than a semi-realistic work of science fiction or modern fantasy. The surreal blends with the real, and while the inexplicable nature of magic that pervades the plot takes some tension and power from the otherwise dramatic twists away, the work certainly delivers a memorable and a very worthwhile conclusion that explores the very concept of an ideal hero among many other things. Though, one particular twist pertaining to Neon’s past I thought kind of derailed her relationship with Tesla in a way it made their relationship much harder to relate to. All in all, like with all Sakurai’s works, I found Gahkthun both absolutely fascinating, and kind of frustrating at the same time. I think a better plotter could take Sakurai’s concepts and beautiful writing style, and adapt them to a much more exciting story that would doubtless prove to be a masterpiece. 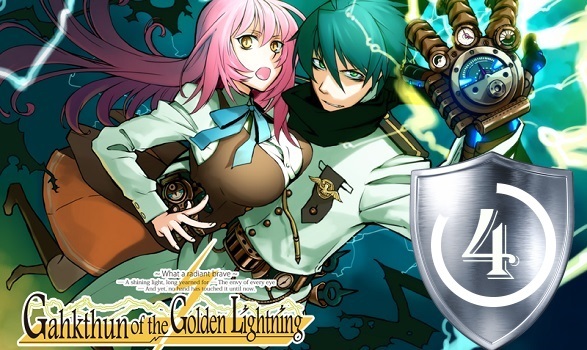 As it stands now, however, Gahkthun is a great visual novel, and should definitely be read by anyone interested in fantasy or steampunk (especially now that it’s getting a decent translation), but the lack of tension in the plot makes it a much duller read than it should’ve been. Still, you have to get it just for Neon and Tesla — the two are just so damn amazing together. I think the presence of those two is what made this into the best Sakurai work for me yet, despite Inganock having a slightly more interesting world. I played till the part where the wolf drops the girl (being as vague as possible to avoid spoilers) so till this part i enjoyed nothing except some antics of Neon and her expressions wich are very cute. The poem like writting of the author may or may not be fun to read but when it has no soul and is only used for the sake of it then if that is the only feature + the art minus the story that the game has to offer then i am thinking why does this novel get a 8 rating? OOOO I really want to check this one out now!